The weather has been really cool lately, which I’m not complaining much about. Seems like I’m going to be able to break out my favorite fall staples a bit early! 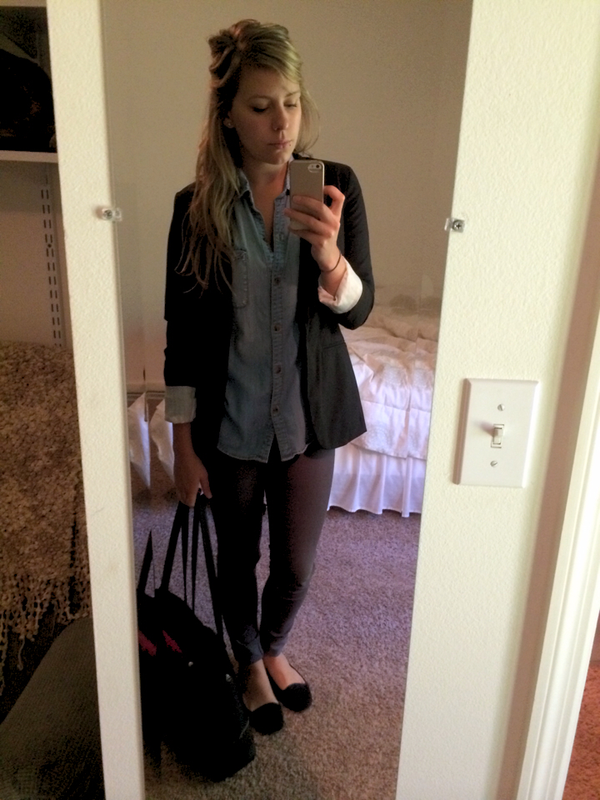 Boyfriend blazer, denim button-up, and black flats are an instant classic. Didn’t have any bright accessories to make it fun, but a cute scarf or a bright braided necklace would be a great way to keep it summer-y!